His Pedigree features 6 generations of uninterrupted A.I. sires spanning back over 14 years and including 16 Pathfinders. Jessie (his Dam's) birth weight 70 pounds. 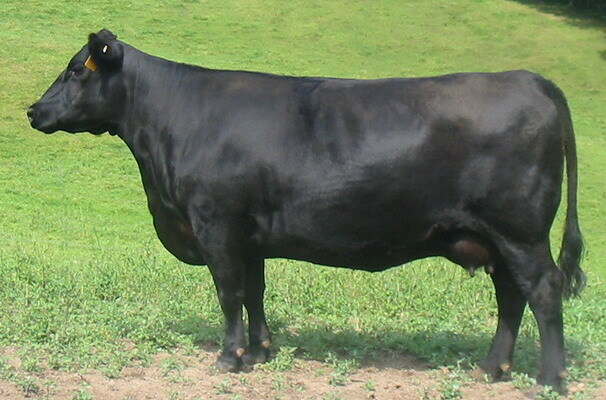 His Grand Dam's birth weight 68 pounds. His Great Grand Dam's birth weight 69 pounds. 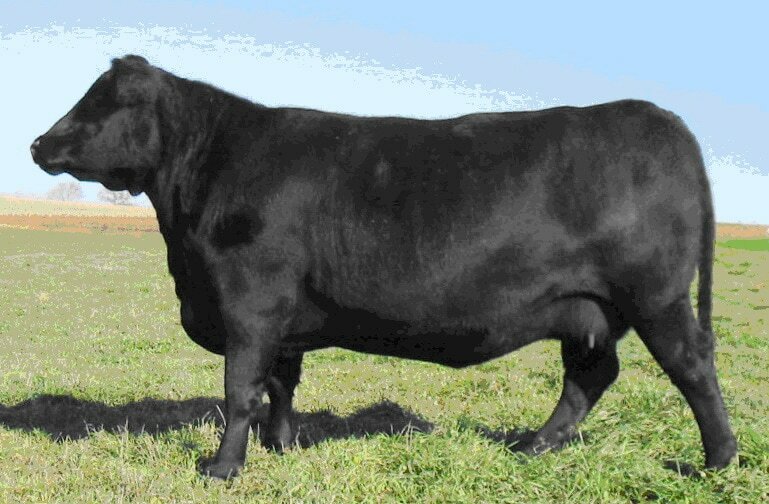 We've owned this cow family all the way back to the Great Grand Dam. 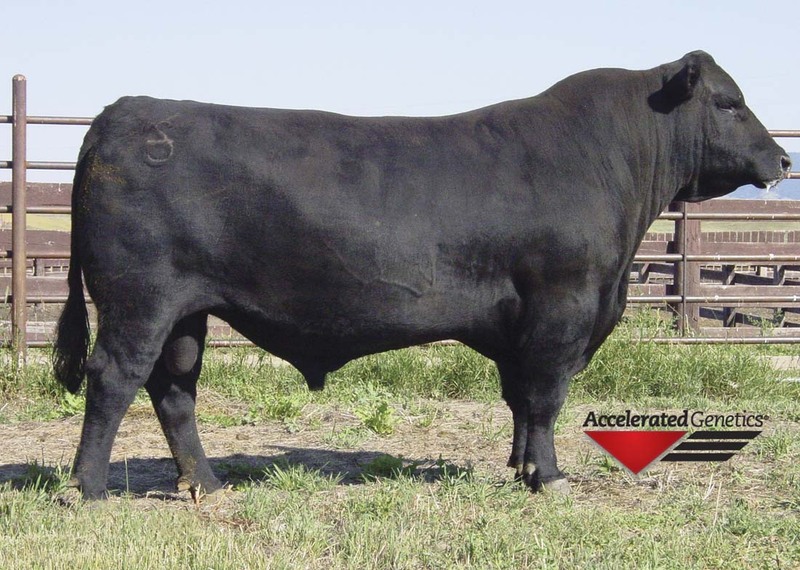 They produce very docile low birth-weight, thick made calves with controlled frame scores and superior phenotype. 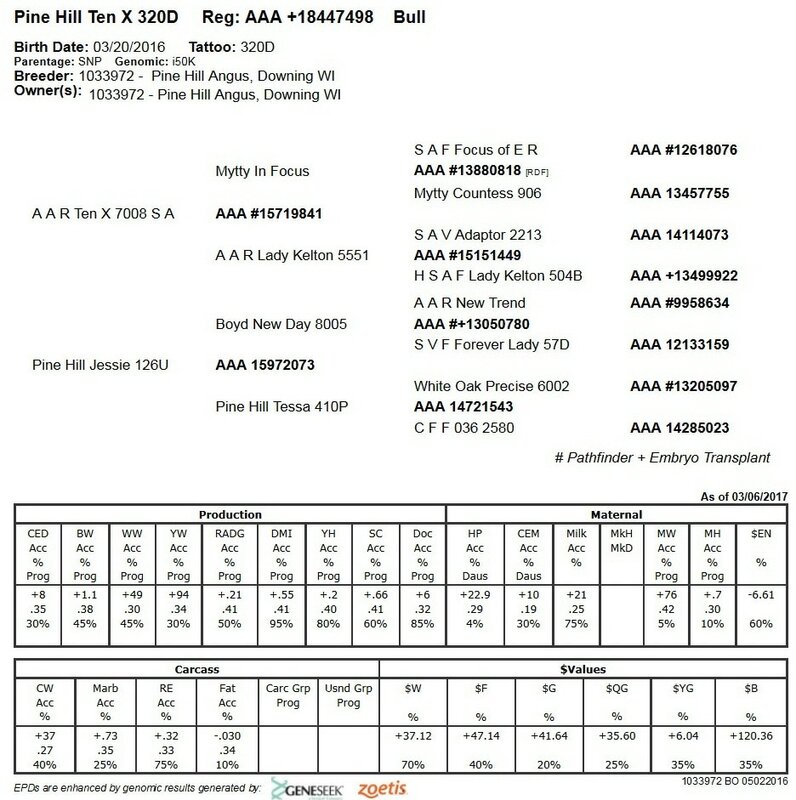 This Ten X 320D bull shows potential to add years of productivity to the heifer calves you keep for replacements. His Dam at nine years old is still structurally sound, exceptional feet & legs, picture perfect udder. She has never needed her feet trimmed. 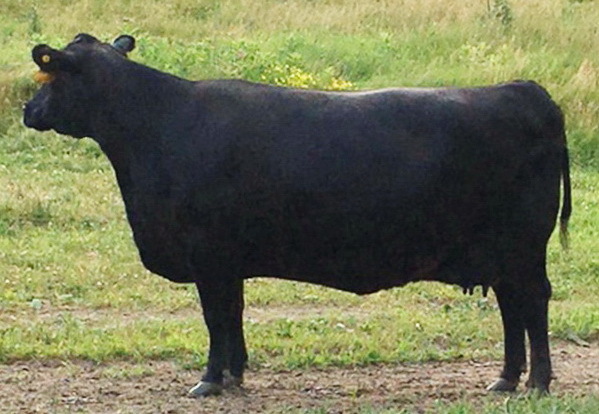 She has 8 calves with 7 of the 8 calves being A.I. pregnancies on the first attempt. 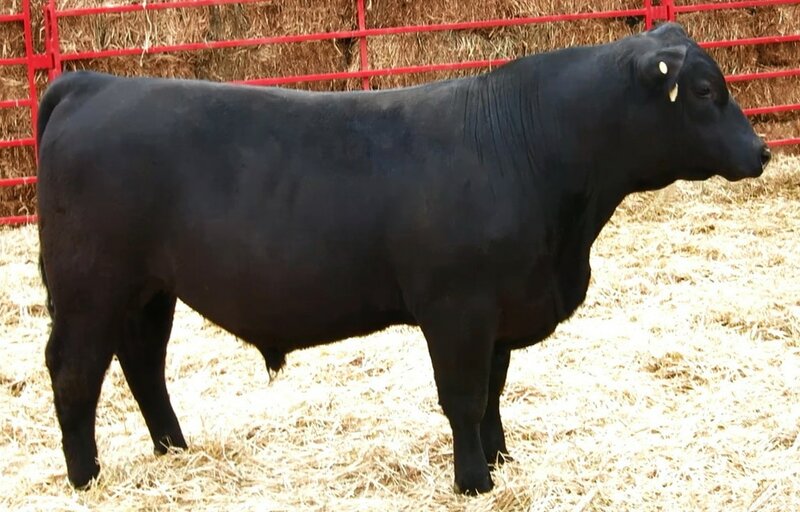 Keep his heifer calves for the Style, Fertility, Longevity, they will inherit. 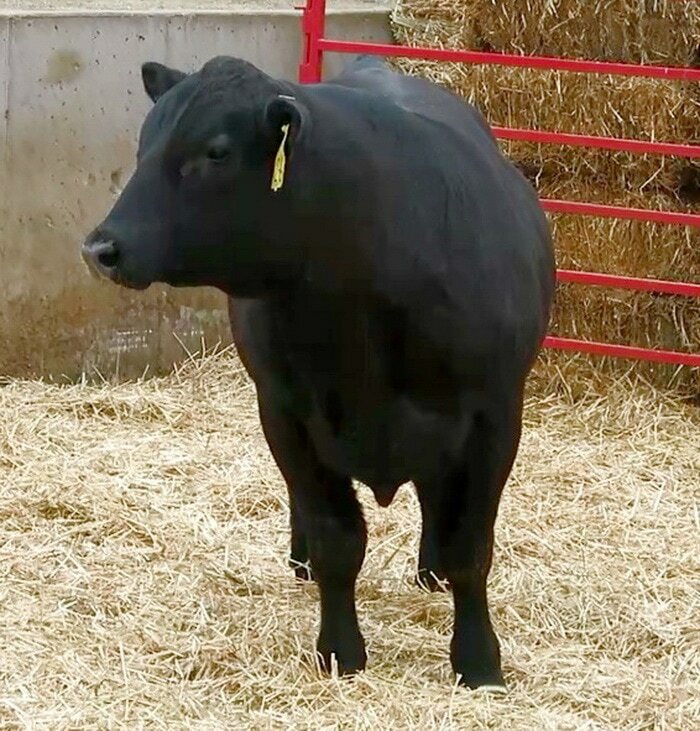 NOTE: this bull's recipient dam had to be put down when he was only 2 months old. He weaned off at 700 pounds AS AN ORPHAN. Add approx 3.5 pounds/day from above date to figure current weight. 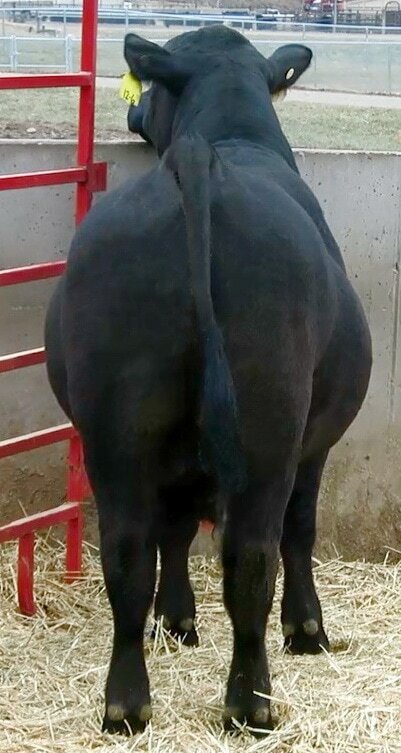 Click Here for Latest EPD's to visit American Angus Assoc then click "search".